I am an Apple Distinguished Educator, blogger, author, along with a few more things. I was an early adopter of using Minecraft in the classroom and started using it in 2013. Since that time, I have used MinecraftEdu with over 800+ K-5 students. All the while, I have tried to write, post and share the stories, thoughts and student creations along the way. I believe Minecraft is a powerful learning tool that kids find both meaningful and relevant. Because of this, I have gathered and created materials to help others get started. Below are tutorial videos, printouts, FAQs, blog posts and some helpful links to get you on your way. Toward the bottom are some amazing student examples that you should be sure to check out. First, it can be played as a game centering on strategic thinking and deductive reasoning. The user must prioritize; set goals and problem solve to explore the in-game world. Throw in an optional threat of danger (monsters) and this fosters a need for security and necessitates preservation strategies. Second, Minecraft can be played in a creative mode. This mode provides for an endless virtual sandbox of creativity (think digital Legos). Here kids can imagine, design, build, engineer, program, develop, code, and simulate almost any type of learning environment. Users can play individually, in small groups or can play on servers holding hundreds of players. Last, Minecraft allows for virtual field trips. Here, a teacher could drop the entire class into a pre-created world. There are ancient Roman dwellings, China’s Forbidden City and Egyptian pyramids. This feature is called Adventure Mode. It gives students the ability to visit a world but disables their ability to break anything within it.Basically, it’s a class trip to the art gallery with no need to worry about oily fingers. + How Do Kids Use Minecraft in Class? I started using Minecraft in my classroom with the help of Dr. Trainin of the University of Nebraska-Lincoln. Since then, I’ve used it in several different ways. I’ve used it for individual, whole-class, and entire-school builds. Our most complex project to date was building Campbell City: a 500+ student project where each student was given a creative space within the city to build whatever they could imagine. We have learned about digital citizenship, computational thinking and connected everyday classroom curriculum into student creations. Kids have solved math problems, created digital dioramas, and have built projects like the Great Wall of China, the Orphan Train, our solar system, water conservation tutorials, and everything in between. We have simulated learning goals from Language Arts, Junior Achievement and extra curricular activities. Really, I could keep going, but I think you get point: with Minecraft the possibilities are endless. + What are the Educational Benefits? When people ask about educational benefits, I often ask them to clarify what they mean. Yeah, I’m pedantic like that, but “Educational” can mean a lot different things to different people – and really, that’s probably right where we should keep it – amorphous and all. I subscribe to the idea that education can happen anytime and anywhere. Learning is like breathing. We breathe in oxygen – we grow cells; we take in impulses – we connect dendrites. It’s natural, it’s normal and it’s done best when there’s an intrinsic interest. Before I was a Computer Science teacher at Campbell, I was a classroom teacher for six years prior. I made the move for a number of reasons, but one of my primary motivations for the switch was to learn how to further embedded technology into education. But it was more than that – I didn’t just want to sprinkle in techy gadgets or electronic worksheets – I wanted to find where curriculum, creativity and student desires could meet. Our job as educators is not to provide the dots, but to facilitate the connecting of dots. This means taking student experiences and building into that specific knowledge base. It means getting to know the students on an individual basis. It’s discovering what they find interesting, what they believe about the world, and where they find significance. And for all these things – for this affinity space – the best place to start was Minecraft. + What Do the Kids Think About Minecraft? Minecraft belongs in schools because it helps kids be creative and different. 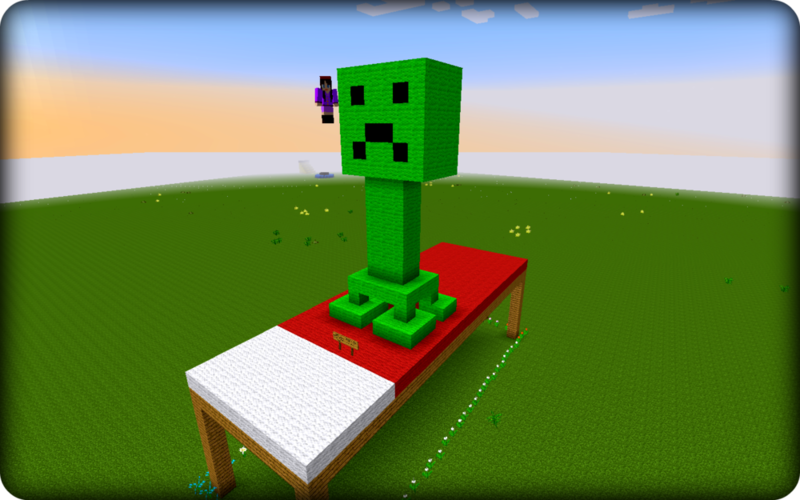 Minecraft also helps kids learn about objects in the world….we get to EXPLORE! *Minecraft teaches kids to be creative. The kids will be happy and learn stuff. A Space to Create. An excerpt from "Teacher Pioneers: Visions from the edge of the map"
What is the difference between Minecraft and MinecraftEdu? At Campbell Elementary, 650+ K-5 students are using Minecraft to learn, create and share what they are doing. We have solved math problems, created digital dioramas, built research projects and have taken field trips to explore ancient and historical worlds. Kids have mapped our solar system, built renditions of the Orphan Train, The Great Wall of China and the Taj Mahal. We have made pixel art, programmed roller coasters, and even built an entire town of Campbell with 500+ buildings. We like exploring and learning through Minecraft. Below are a few highlights (videos and pictures) of what we are busying learning about in our classroom and how we're using Minecraft to shape our understanding of the ever-changing world we live in. 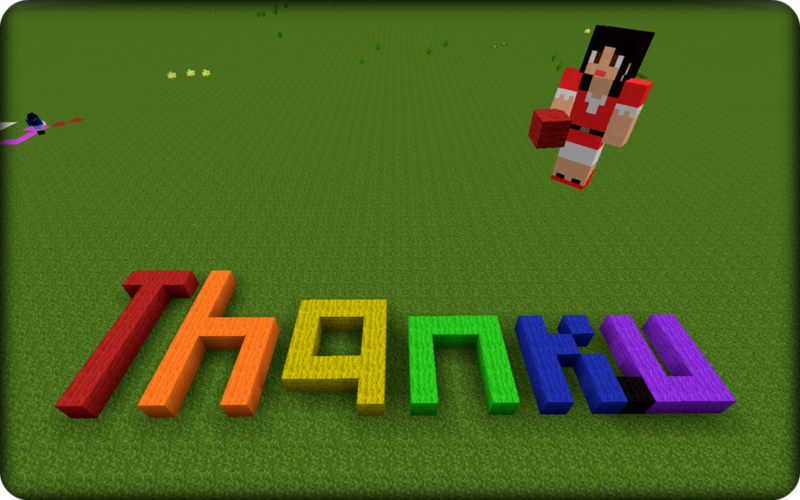 Hundreds of students use MinecraftEdu to create a Thank you for Code.org and for their $10,000 donation to Campbell Elementary School! Jaxon creates a flower garden for our school's "Minecraft Wellness Challenge"
Gomana takes a virtual field trip to Timbuktu with MinecraftEdu's "World of Humanities"
3rd grade students use MinecraftEdu to build Mathematical equations. A Campbell Elementary student creates a Thank You for Code.org and their generous gift of $10,000 to our school. "Minecraft in the Classroom: A How-To & FAQ"
I am addicted to the notion that all people are creative. I believe we truly find ourselves in the creative process. I believe we find a deeper, richer understanding of our own aptitudes and capabilities when we stop consuming and start creating. When I walk into my classroom I see brilliance. I see art and artist of all kinds. I see partnership and problem solving. I see architects and engineers. I see developers, coders and hackers. I see programmers, designers and advertisers. But I also see kids just trying to have fun and be happy at school, to learn about life and grow in self-efficacy. I see kids that love to collaborate in ways that excite and expand their imaginations. I see classmates connecting in completely relevant ways. What I see is that we need more things like Minecraft in school. More things that kids are actually talking about. What we need is less of our own agenda and more of theirs, more of their interests and more of what they find meaningful. I’m not saying Minecraft is the answer, but I am saying that it might be. It might be. It might be for that kid who has not mastered the art of school. It might be for the kid who is tired of being tested and just wants to be a kid again. It might just be that Minecraft is exactly what these kids need – what every kid needs: A space to imagine. A space to explore. A space to dare. A space to fail and fail and fail. A space to be bold. A space to for resilience. A space to finally get it right. A space to build understanding - one little pixelated block at time.